We Believe that anybody with a “disability” has a Younique ability and can do many great things that you put your mind to, just believe in yourself and reach your maximum potential. 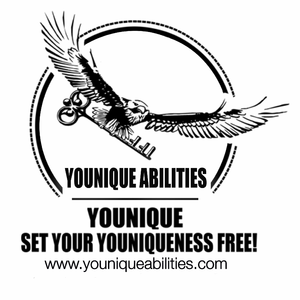 Younique abilities sells awareness merchandise about 90-95% of which is handmade and had made by individuals with a unique ability. Younique Abilities is a Small Business selling awareness merchandise a lot of which are handmade by individuals with Younique abilities. You may purchase Younique Abilities awareness merchandise on our online store and We donate part of our sales at the end of the year to a local deserving Non-Profit organization.